This is the beginning of the process of the shift from MPEG-2 broadcasting standard, to the space efficient MPEG-4 one. Tata Sky, one of India’s leading Direct to Home (DTH) operators, has inked a deal with Broadcom for its System on Chip hardware based MPEG-4 Standard Definition set top boxes (STB). This announcement comes soon after Tata Sky had said that it plans on switching over to the space efficient MPEG-4 technology for all channels. These set top boxes will be the Standard Definition ones, and will replace the MPEG-2 variety hardware that was purchased by consumers during the initial few years. Since 2010, Tata Sky’s SD, SD , HD and HD set top boxes have been MPEG-4 capable anyway. "The move to MPEG-4 is a major milestone for our company and a significant benefit to our subscribers," said Harit Nagpal,Tata Sky CEO. "Our goal is to enable our customers to enjoy the growing volume of television content and interactive services available for home entertainment and information. We selected Broadcom's satellite set-top box devices because their best-in-class integration, performance and energy-efficiency enable us to meet the needs of our subscribers while also reducing power and energy requirements in the home." "Our ongoing collaboration with Tata Sky has allowed the company to provide a cost-effective transition to MPEG-4 using our BCM7301 SoC," said Rich Nelson, Broadcom Senior Vice President, Broadband Communications Group. We had been getting hints about this change for quite some time now. First, Tata Sky has already said that it will be going to courts over ISRO’s inability to provide it with additional transponder space, despite the application being pending since 2007. (Read here). The space crunch on the existing transponders has severely hampered Tata Sky’s ability to offer a wider channel offering, something that the rivals are doing. Second, Tata Sky launched the Star Sports 2 channels recently in the MPEG-4 format on its platform, and is only available on the compatible hardware. However, conversion of existing popular entertainment and sports channels cannot be done till all hardware is replaced across the subscriber base. 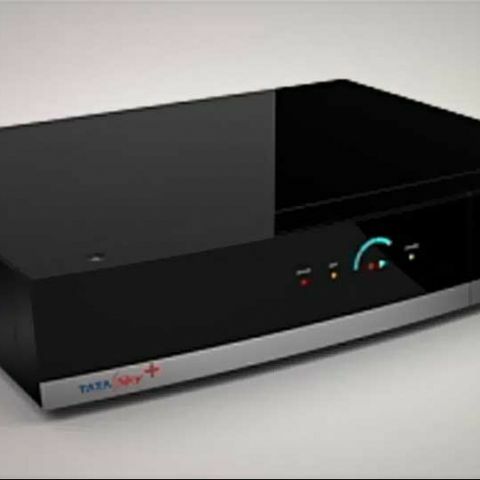 Tata Sky HD DVR, like the newer SD boxes as well as SD and HD STBs. is already MPEG-4 capable. But, the problem is with the much older SD boxes, which are compatible only with MPEG-2 broadcasting standards. Immediately after this announcement, in an interview with Indiantelevision.com, Tata Sky Managing Director, Mr. Harit Nagpal said, “We are replacing close to 5-6 million MPEG-2 SD STBs at no cost to consumers over the next year. All of this is coming in from internal accruals.". However, he is clearly unhappy about having to take this massive step of replacing millions of older MPEG-2 hardware. He adds, "But I am being forced to do this because Indian Space Research Organisation's (ISRO) has yet to give me my transponders. I could have put this money elsewhere on expanding my digitisation plans." It would be interesting to see what legal action Tata Sky takes against ISRO, once the courts open after the summer break. Tata Sky currently used the transponders on the Insat 4A satellite, and has done so ever since the services launched in India. Despite GSAT-10 being in orbit since late last year, at the same coordinates as the Insat 4A satellite, ISRO hasn’t provided the transponder access to Tata Sky. will external DVD writer work with micromax canvas labtab 2?